When a couple ties the knot, they plan on a lifetime union. Unfortunately, close to 50 percent of marriages end in divorce. A divorce is never pleasant, but careful planning may make the process less stressful and enable you to obtain a better financial arrangement. To help you through this difficult time, Urbach & Avraham, CPAs has prepared a Divorce Checklist that outlines steps couples should consider. Diversion of assets? Unreported income? Family business? The checklist is an easy-to-understand guide, starting with pre-divorce planning, guiding you through the financial aspects of the proceedings, and highlighting post-divorce issues. This comprehensive list can assist you in navigating through this nerve-wracking ordeal. The roadmap can help with technical and other questions for your CPA, legal or other financial advisors. 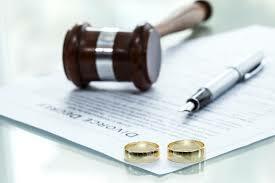 We work with many qualified divorce attorneys to seamlessly coordinate your issues. The Urbach & Avraham Divorce Checklist also highlights complexities presented when a family owned business is involved: Have you engaged a valuation specialist? Suspect unreported income? Accounted for five years of business records? You’re already coping with many emotional and other issues. We’re here to help lift the burden by assisting you with financial, tax and other matters during this trying time.